Steve Zeller, the Smoky Beast and I present a historically interesting experience. 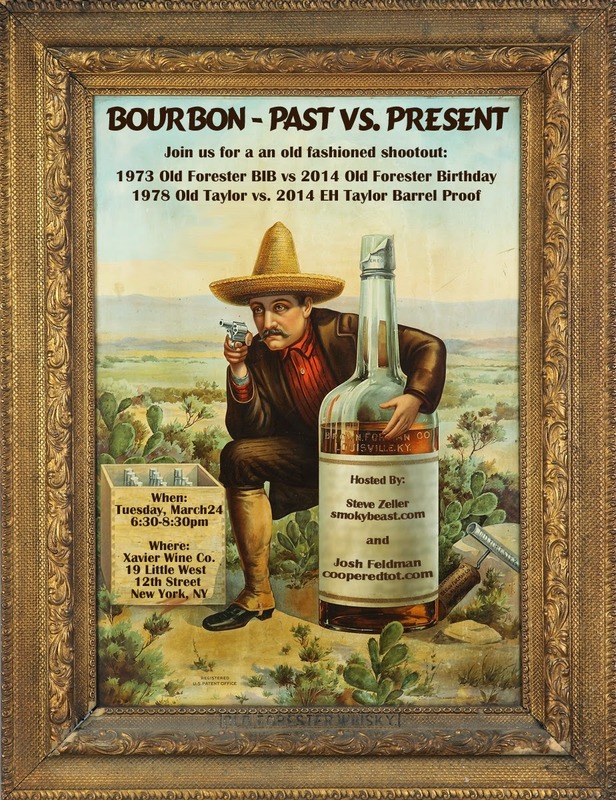 Come and taste classic 1970s dusty Old Forester BiB from DSP-KY-414 and National Distillers Old Taylor against premium expressions of the current stuff: Old Forester Birthday Bourbon and the powerhouse EH Taylor Barrel Proof at Xavier Wine Co. down in the Meat Packing district. Tuesday March 24th.